Raduga Kh-55SM Kent with conformal fuel tanks. 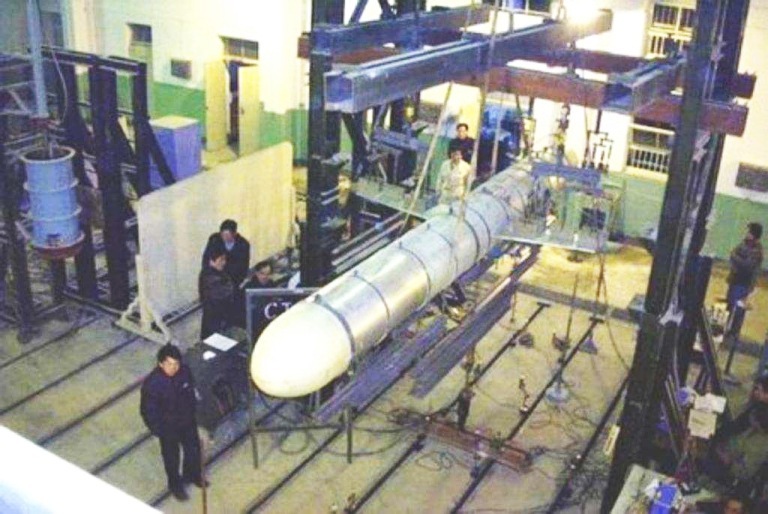 China illegally acquired samples from the Ukraine to permit the development of a cloned variant for the PLA. The current production DH-10/CJ-10 is likely a result of this effort. 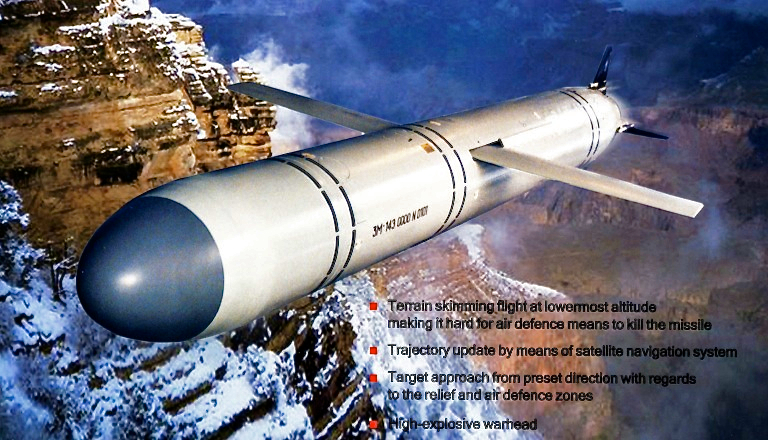 This weapon is also a candidate for new production PLA Badgers (RuMOD). For the ADF cruise missiles will become the principal missile defence and air defence issue in coming decades, reflecting not only the wide proliferation of shorter ranging ASCMs and land attack missile derivatives, but also the strategic impact of China's introduction of TLAM/CALCM class weapons as these mature, and extended range turbofan H-6K Badger delivery systems. 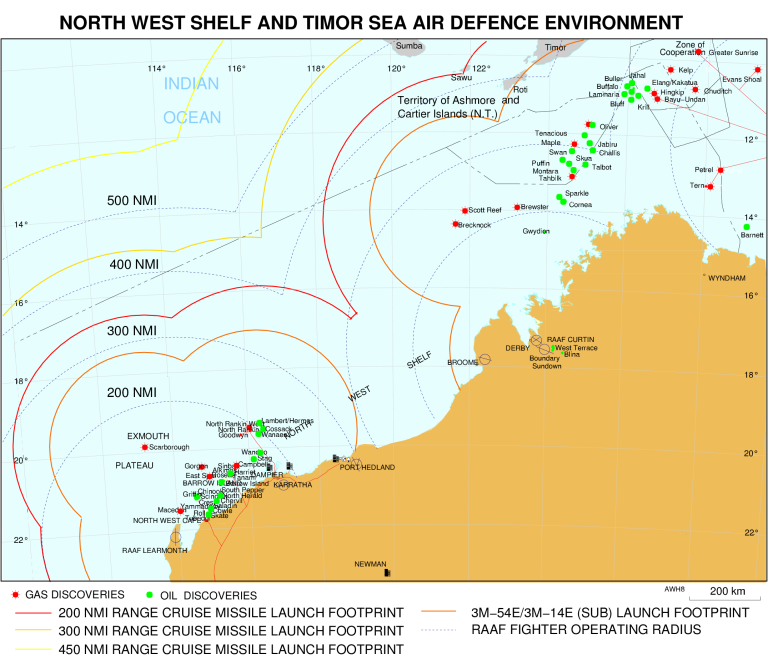 The fact that cruise missile defence did not rate a mention in the RAAF force structure rationale presented to parliament on the 4th June, 2004, is remarkable - more so since this issue has been repeatedly raised in parliamentary submissions since November, 2000, and is also appearing in US defence publications. Large aircraft such as strategic bombers, theatre bombers, and modified transports present the capability to move a respectable number of cruise missiles over regional or global distances in hours or tens of hours, at cruise speeds of the order of 450 KTAS. Range and speed afford flexibility in timing attacks, and in choosing launch points to best disadvantage the defender. On a typical profile the aircraft would fly to a preplanned launch point, spend several minutes releasing the weapons, upon which the bomber can depart. Support jamming to confuse defences is an option. This is the concept pioneered by the B-52/ALCM system, and since adopted by the Russians with the Bear/Blackjack/Kh-55/55M/555 system. It is expected to be used by the PLA-AF once its H-6K/ALCM system matures. There are many variations on this theme possible, the performance of the delivering aircraft and weapon. 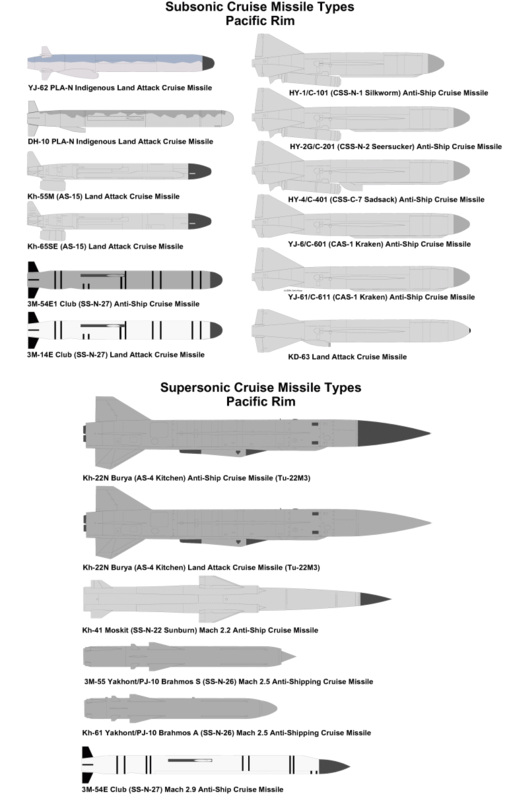 The Russian operated Tu-22M3 Backfire / Kh-22M series penetrating to the launch point supersonic and high is one extremity, whereas the B-52 going in low armed with AGM-86C is the other. The nearer the bomber can get to an opponent's defensive perimeter, the deeper the weapons can penetrate and the more flexibility the weapon has in routing its flightpath around known defences. The two most important regional strategic developments over the last two years have been the PLA-AF's January 2010 disclosure of the stealthy F-111 sized J-20, and the 2002+ development of the cruise missile carrier H-6K turbofan powered Badger derivative. 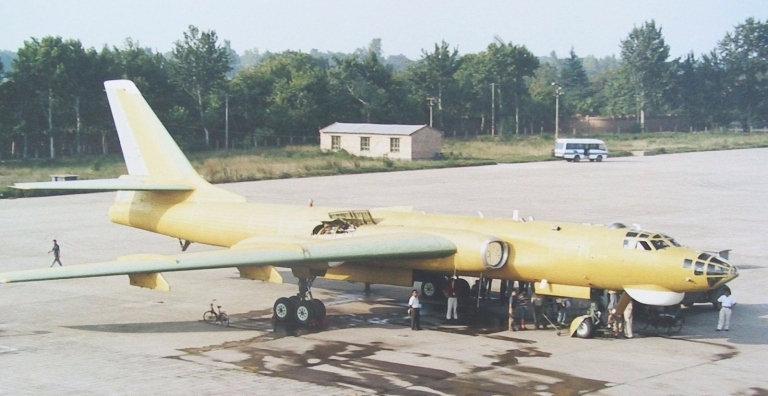 At this stage it is not known whether the 20,000 lb bomb bay fuel tank used with the H-6U tanker has been incorporated, or whether a refuelling probe will be fitted. The photograph is part of the Zhuhai 2002 AVIC I promotional video, depicting the earlier H-6H prototype on takeoff, carrying four Kh-55/65 class missile bodies (AVIC). [Click for more ...]. 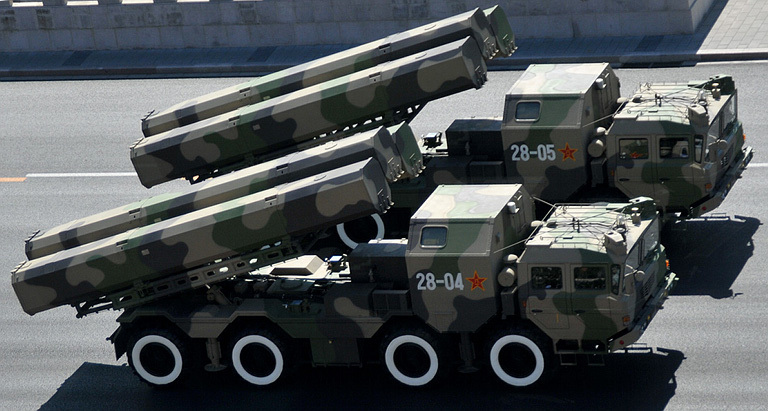 Prototype Xian H-6K Turbofan Badger cruise missile carrier (Xian). 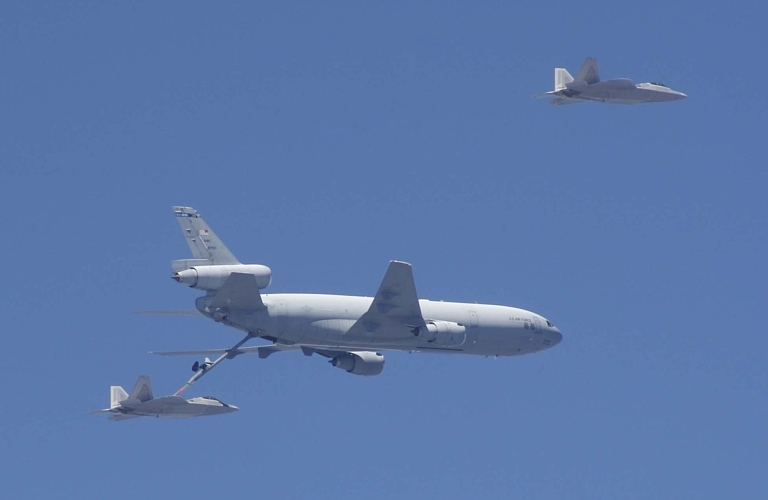 The US Air Force model for cruise missile defence envisages inner and outer zones, patrolled by E-3 AWACS and E-8 JSTARS respectively, with F-22A providing outer zone intercepts, and AESA equipped legacy fighters inner zone intercepts. Current RAAF planning leaves gaps in inner zone X-band surveillance capability, and totally inadequate fighter capability in terms of radar performance, supersonic persistence and missile payloads. 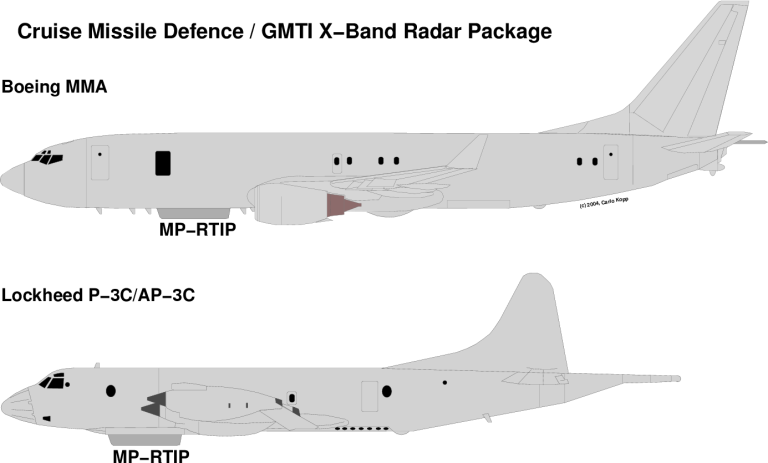 This chart depicts an alternative model for the RAAF (Author). 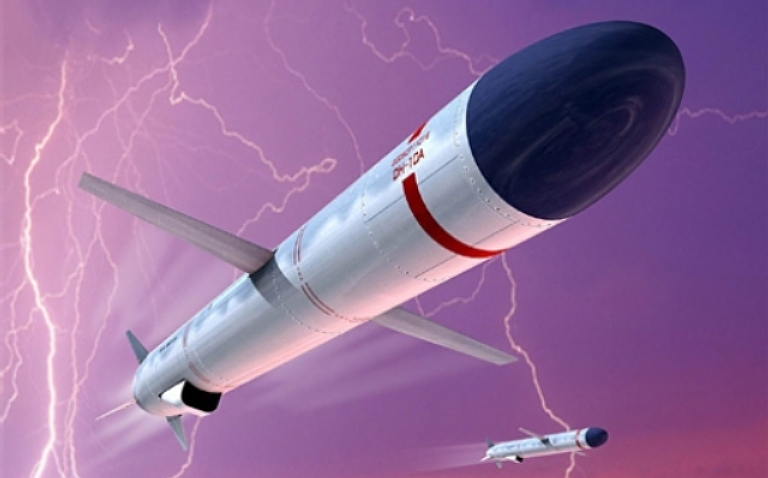 The gap in RAAF inner zone cruise missile defence surveillance capabilities could be plugged by fitting an X-band AESA such as the MP-RTIP to an LRMP aircraft. This provides a dual role cruise missile defence and littoral/battlefield GMTI capability. The 2004 AFTS/RLM MMSS proposal for the AP-3C would provide a low cost/risk means of introducing this capability (Author). 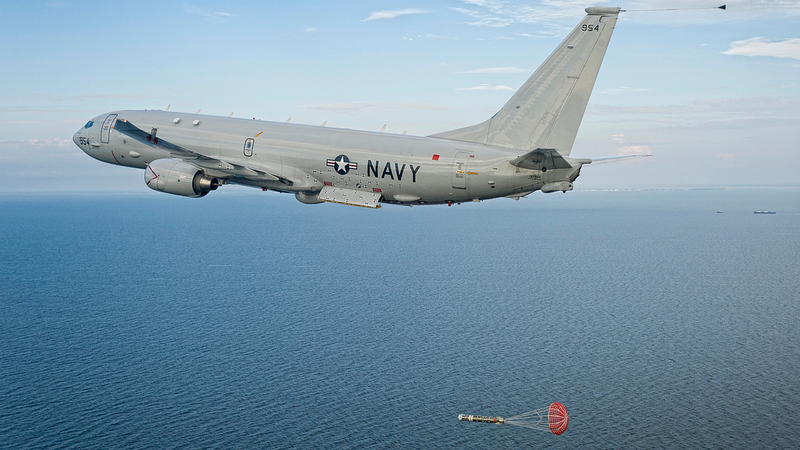 The 2010 Boeing P-8 Aerial Ground Surveillance (P-8 AGS) proposal (above) to replace the E-8 JSTARS presents a potential ISR platform for cruise missile defence applications (Boeing). 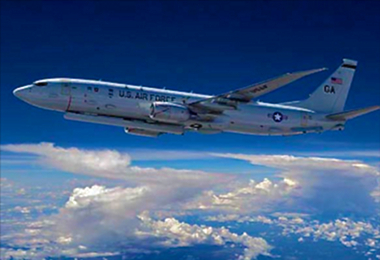 It is based on the P-8A Poseidon (below) LRMP aircraft (US Navy). 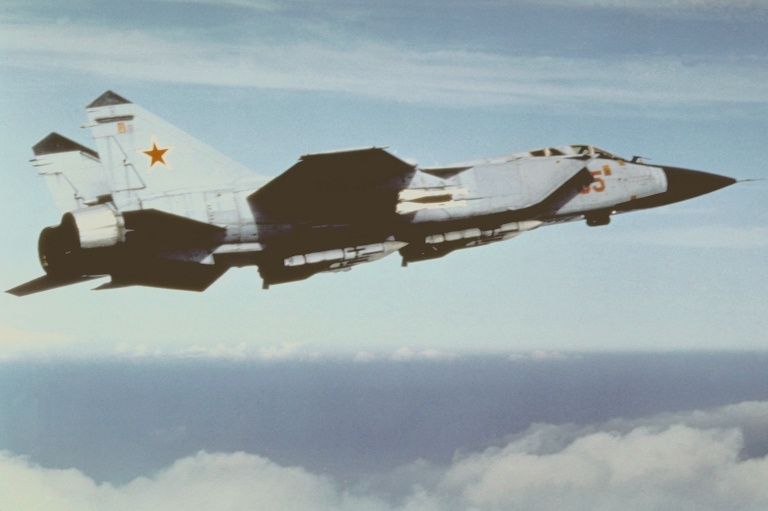 The only two fighters ever specifically built for cruise missile / bomber defence were the Russian MiG-31 Foxhound and US Navy F-111B. The MiG-31P was built to kill B-52/B-1 and the F-111B the Backfire and Badger. These airframes are nearly identical in cardinal weight/size parameters, built to carry large look-down/shoot-down radars, IRST systems and similar R-33/AA-9 and AIM-54 missiles (US DoD). 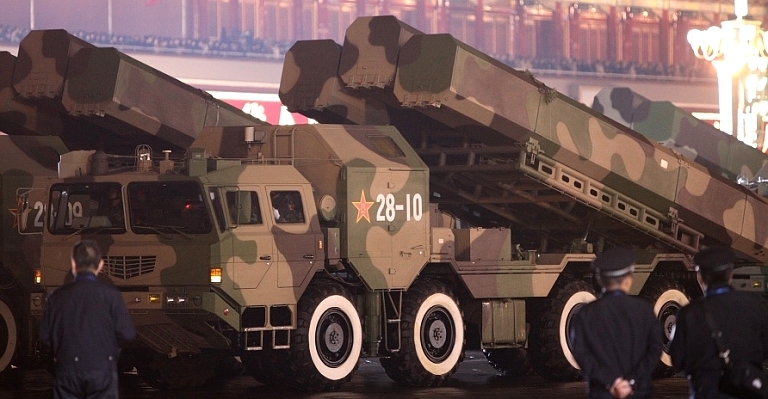 Launch of a 'Tomahawk-like' PLA-N YJ-62 cruise missile. 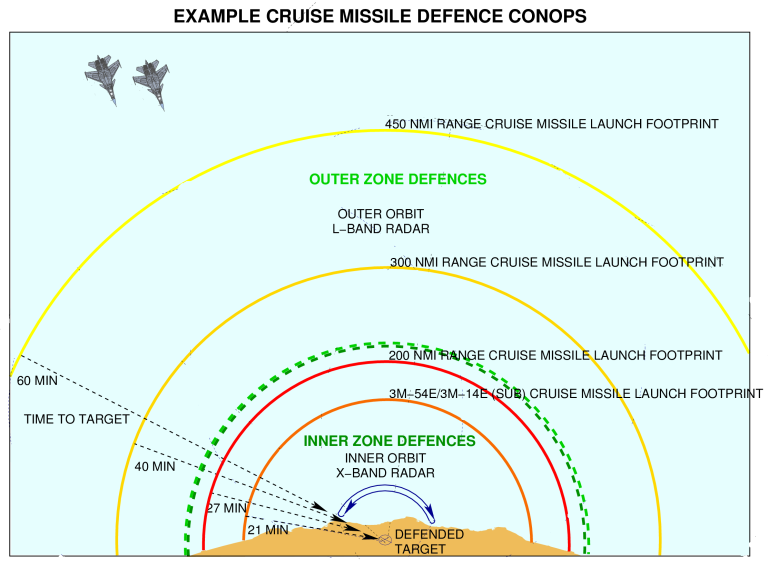 Current US Air Force thinking on cruise missile defence envisages a two zone scheme. The outer zone comprises the E-3 AWACS, E-8 JSTARS / E-10 MC2A and the F-22A, and is intended to detect, track and kill launch aircraft and cruise missiles which might be launched. This outer zone is supplemented by an inner zone, comprising E-8 JSTARS / E-10 MC2A equipped with MP-RTIP X-band radars to track cruise missiles, and a mix of F-22A, JSF and AESA equipped F-15C/APG-82 or F/A-18E/F to destroy leakers which might penetrate the outer zone of F-22A defence. 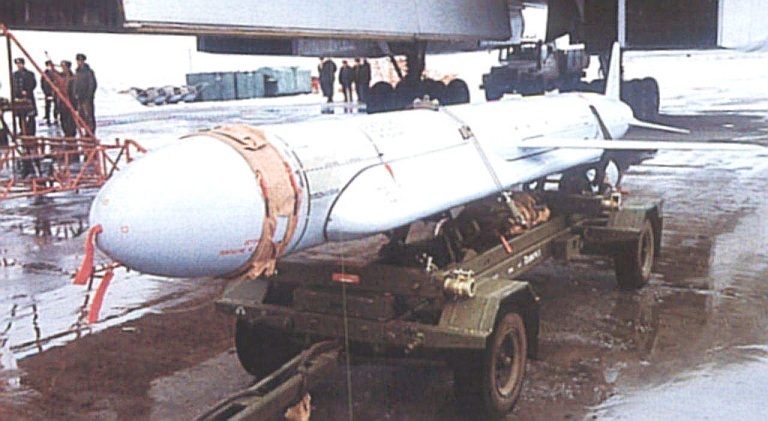 The US some years ago introduces fusing changes to the AIM-120C-6 AMRAAM to improve its ability to kill cruise missiles. The limited look-down performance of the E-3 radar forces the use of the E-8 JSTARS as a gap-filler. The more capable E-10 MC2A was to later absorb most of this role, but was cancelled for budgetary reasons. The heavy reliance on the F-22A in the US model is a direct consequence of the F-22A's exceptional X-band radar performance and supersonic persistence, which allows it to patrol a much larger footprint than a conventional fighter does, and its ability to operate in contested airspace. The performance of the APG-77 permits head on engagements, and after passing the targets the F-22A would reverse heading for a repeat pass against any surviving cruise missiles. Current long term planning for the RAAF leaves Australia in an invidious position as regional ALCM/SLCM capabilities develop over the coming decade. While JORN and Wedgetail provide excellent outer zone defensive capabilities, JORN blind periods and Wedgetail numbers will remain as real problems. 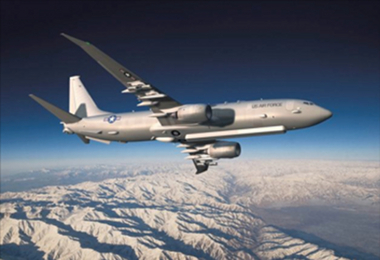 The absence of a JSTARS-like capability seriously limits inner zone surveillance and tracking capabilities, especially against SLCM threats, constraining locations of Wedgetail orbits to cover both outer and inner zone areas. The bigger hole in RAAF capability however lies in the plan for a lightweight fighter fleet, centred in F/A-18A and later JSF, with minimal tanker support. The F/A-18A and JSF are not F-22As in radar capability, missile/fuel payload or supersonic persistence. Sadly, the plan to kill off the F-111 deprives the RAAF of a very economic inner zone cruise missile defence interceptor airframe, and long range bomber interceptor. The combination of persistence and supersonic dash performance, and large payload, provides the F-111 with the ability to cover inner zone patrol areas without tanker support, in an environment where its lack of close-in air combat agility is irrelevant. An F-111 can orbit on station 200 nautical miles from a runway for about 4 hours without refuelling, simply impossible for an F/A-18A or JSF. Retrofitting a suitable radar like an APG-79, APG-80 or APG-81, a JTIDS terminal and clearing the AMRAAM are relatively cheap given the return on investment, especially in reduced tanker demand and supersonic intercept capability against any fast bombers - regardless of resulting gains in F-111 strike capability. The US Air Force solution for outer zone cruise missile defence is the F-22A, which will exploit its supersonic persistence and large APG-77 radar to kill cruise missiles and delivery aircraft (US Air Force).